The Sarbananda Sonowal Cabinet has approved 10 per cent quota for the economically weaker sections of the general category in government employment and government education institutes. The State Cabinet took the decision in a meeting chaired by Assam Chief Minister Sarbananda Sonowal at the Janata Bhawan in Guwahati. 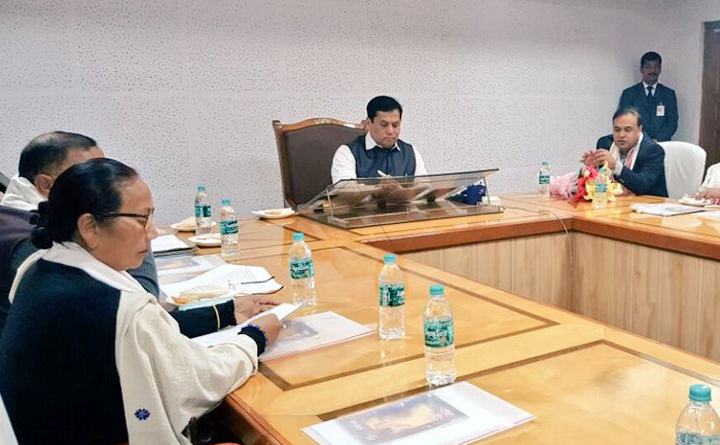 CM Shri @sarbanandsonwal chaired a Cabinet meeting at Janata Bhawan, Guwahati. The Cabinet approved the 10% quota for economically weaker sections of the general category in Govt employment and Govt education institutes. The Cabinet also approved incentives for government doctors, nurses and other healthcare workers under Ayushman Bharat & Atal Amrit Abhiyan. According to the Cabinet decision, 20 per cent of the total amount for government hospitals implementing these schemes has been earmarked for the purpose. The Cabinet approved incentive for Govermnent doctors, nurses and other healthcare workers under Ayushman Bharat & Atal Amrit Abhiyan. 20% of the total amount for Govt hospitals implementing these schemes has been earmarked for the purpose. Besides, the Cabinet approved a loan amount of Rs 95 crore under RIDF from NABARD for works under the Water Resources Department. The amount will be utilised to construct and strengthen embankments, dykes and other infra across the State. The Cabinet approved guidelines for disbursement of ?5000 each to 5 lakh farmers of the state under the Mukhya Mantri Krishi Sa Sajuli Yozana for purchase of farm tools and implements. The Cabinet approved guidelines for disbursement of Rs 5000 each to 5 lakh farmers of the state under the Mukhya Mantri Krishi Sa Sajuli Yozana for purchase of farm tools and implements.